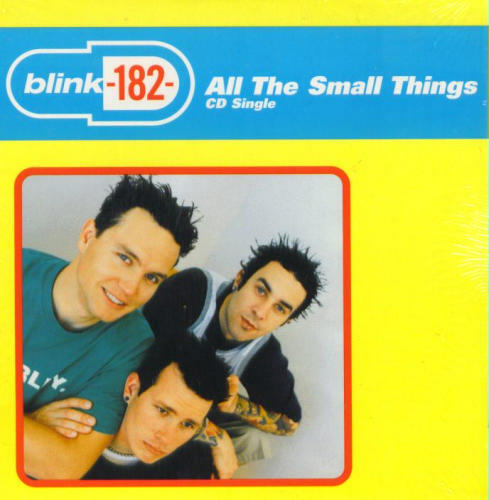 “All the Small Things” is a song by American pop punk band Blink-182. It was the second single released from the band’s third album Enema of the State. 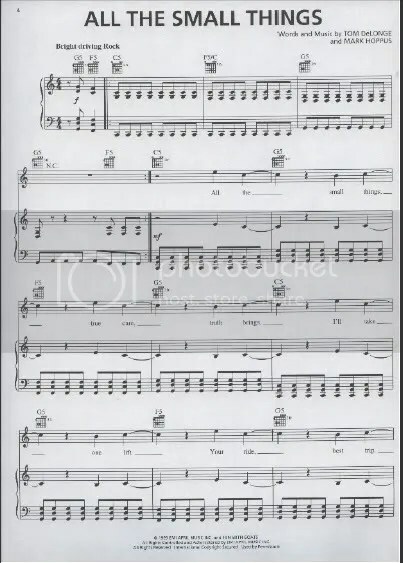 Written by guitarist Tom DeLonge for his girlfriend, the song is one of Blink-182’s most popular songs and is often considered their signature song. The single, released in January 2000, peaked at number 1 on the Modern Rock Tracks chart and reaching number 6 on the Billboard Hot 100. “All the Small Things” was the band’s first number 1 hit and it exposed the band to a whole new audience. This sheet has 6 pages, in C key and in pdf file format.